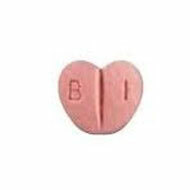 Zebeta is a drug that belongs to a group of drugs called beta blockers that is used in the treatment of hypertension. Zebeta is used primarily to treat cardiac conditions but it may also be prescribed for other conditions. The best way to take Zebeta is as prescribed by your doctor. However, it is recommended that you take it with a meal to avoid an upset stomach. You should try and take your doses on time taking care not to miss any. But if you do miss a dose, then take it immediately and space out your remaining doses accordingly. You may also skip it and continue with your regular dose. But do not take a double dose. Store it at room temperature taking care to protect it from moisture. Congestive heart failure, difficult or labored breathing and low blood pressure are some of the typical symptoms of a Zebeta overdose. The drug may cause light-headedness, dizziness, and faintness in some people. Do not consume alcohol along with the drug. Do not drive or handle heavy machinery until you know how to react to the drug. Use with caution if you suffer from asthma or other bronchial conditions. Do not stop taking this medicine before checking with your doctor. Before you have any medical or dental treatments, emergency care, or surgery, tell the doctor or dentist that you are using this medicine. This medicine may cause drowsiness or dizziness. Do not drive, operate machinery, or do anything else that could be dangerous until you know how you react to this medicine. For women: if you plan on becoming pregnant, discuss with your doctor the benefits and risks of using this medicine during pregnancy. It is unknown if this drug is excreted in breast milk. If you are or will be breast-feeding while you are using this medicine, check with your doctor or pharmacist to discuss the risks to your baby. For patients with diabetes mellitus: this medicine may mask signs of low blood sugar such as a rapid heart rate.